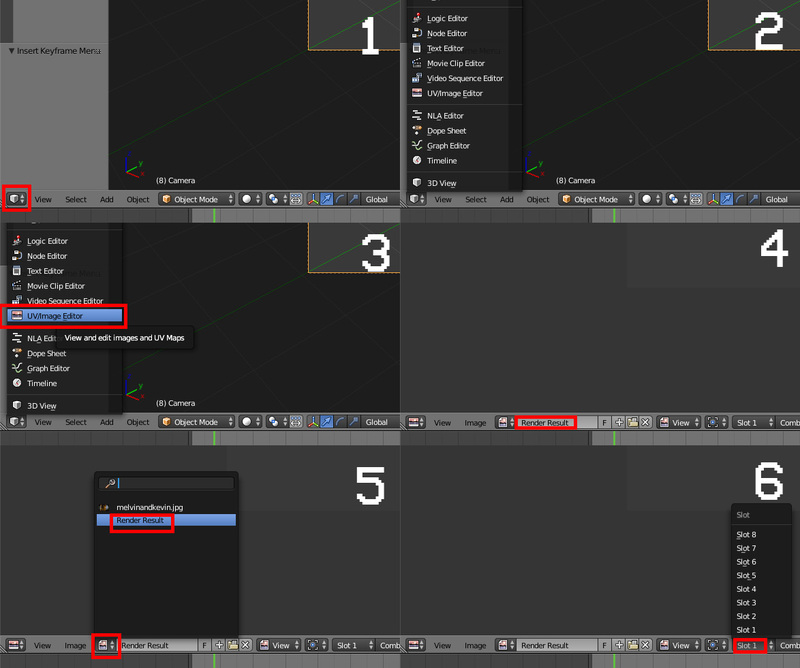 Is there a way to get back to the Render Slot Dropdown Menu (That already has renders in it) "without" having to make another render? This would be during a single session of Blender. The Slot you rendered into. If you rendered to the same slot, the previous information is gone forever. If you switched to a different slot, then the information of other slots is untouched and you can switch back and forth. To save the information of any of the rendered slots, use the Save as Image option on the UV/Image editor and use OpenEXR as the format, that will keep the rendered image as scene referred data. An alternative, is to add a File Output node in the compositor. That way every time you render you will be saving a file automatically. Note that if you render again, it will render to the same file and overwrite the previous image. Fake user in UV Editor. What is it for? Blender deleting my render slots when i leave the scene. Is there a way to batch render multiple scenes? Is there a way to get ONE random value as seed for Cyles per render? Is there any way to delete the light bounces without losing the illumination? Is there a way to render to PNG as raw pixels / without converting color space to sRGB? Is there a way to render an object invisible but still have it block view? How can I render the way the render preview renders? Blender frozen, Is there anything I can do?